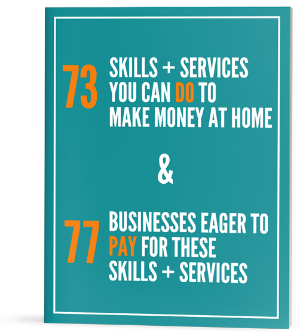 Have you caught the entrepreneurial bug but don’t have a passion for online businesses? As much as I absolutely love the online world I can’t help but feel the urge to get involved in some type of offline business. This probably stems from the fact that I am pretty much obsessed with real estate and searching out foreclosures. One of my near future goals is to try and flip a house again. I know, I know, that can be a bit risky but I did it once before and it was freaking awesome! Plus, the cost of houses in my area is extremely low and if I couldn’t flip the home I could definitely rent it and have a positive cash flow each month. Real estate isn’t the only offline business I have thought about though. A few years ago I couldn’t get the idea of owning a car wash out of my mind. It seems like a great semi-passive income stream, right? Buy an existing car wash or put a new one in a high traffic area and just wait for people to feed their quarters through. The only problem with this idea is the initial start-up cost. I did quite a bit of research on it and starting a car wash isn’t cheap. From what I read, it takes a minimum of $100,000 to build your own. And, it would take a while to make enough money to pay that loan back but after you did you’d get to enjoy pure profits for a minimal time investment. A former friend owned a construction company as his main business and dealt with vending machines on the side. If he saw a vending machine for sale on Craigslist he’d pretty much drop everything to go buy it. That tells me that owning a vending machine business could be fairly lucrative. The great thing about owning a vending machine business is that you could pretty much restock your machines and collect the money in about one day each month. The downside, of course, is finding businesses to place the machines with. You’d have to give those businesses a cut of the profit because they are the ones providing the electricity to keep the vending machine running. Also, vending machines aren’t cheap. It might be necessary for you to take out a small loan to start this type of business. Of course, if done right this would be an excellent investment and you’d earn enough to pay back your loan plus some each month. Anyways, rent in my area is pretty low, averaging about 500-600 dollars per month. If you owned ten rental properties free and clear and they each brought in $550 you’d have a gross income of about $5,500. Deduct property tax, insurance, and property management and you’d be looking at a semi-passive income stream of around $4,000 per month. Nice! Like I said, I love real estate. And, I really, really love looking for awesome deals on houses. I had my eye on one foreclosure recently but I got scared and postponed the showing and someone else snatched it up. Depending on the area you live in and the cost of homes, flipping houses could be an awesome business. My real estate agent tells me the best time to list a lower priced house is right around income tax time. A lot of the residents in my area get a large income tax refund and use it as a down payment on a house. My idea? Find a decent foreclosure that needs minimal repairs in a good area for about $30k. Put around $5,000 in it to make it more appealing. List it for $50k in February when everyone starts to get their income tax refunds. This is what I did with the house I flipped and I began receiving offers within the first week of it being listed. Everyone else must have been thinking the same thing because before we knew it thrift stores were popping up left and right. I still think this can be a great idea if executed right. In today’s economy everyone is looking for quality items at a bargain price – cue the thrift stores. I like to clean and organize – especially when I’m upset, it’s a huge stress reliever. If I were going to start a cleaning business I would do it for businesses. My old boss owned a commercial building that he paid a cleaning lady $300 a week to come in and clean for his tenants. That’s a whole lot of freaking money for about 5 hours’ worth of cleaning. My idea for a cleaning business would be to find several commercial clients to work for. Once I had a good amount of clients I would hire a staff and just outsource the whole thing. I’d keep my role at finding clients and scheduling. If I had staff call off work then I’d go fill in, but that’d pretty much be the gist of it. Maybe I should do this? 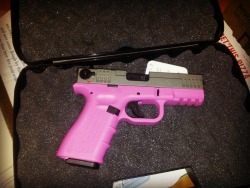 Did you know that firearms rarely ever depreciate? In fact when Obama first got elected my family’s sporting goods stores sales shot through the roof. Then last year when there was all the talk about anti-gun laws, guns that were going for $800 quadrupled in value. If you had a stash of those highly sought after guns like AR’s then you could bank. People were buying them up like freaking crazy and to some degree, still are. The fact that I live in a country town makes this business idea extremely lucrative. Getting my car detailed is something I’ve been considering doing for a while now but just haven’t got around to. I try to keep my car clean but with two little ones it’s sometimes the area that goes untouched. If you love cars and, more importantly, love detailing cars this could be an awesome business to start. You have to be very detail oriented for this job but you could charge around $150 a pop. The faster you get the more money you could earn. I love doing DIY projects around the house. I am not naturally a crafty (or coordinated) person but the practice I’ve put in over the years has dramatically improved my DIY abilities. My great grandpa makes some of the best furniture ever. I still have the toy box he built me when I was a kid. After he builds furniture my great grandma, who is a painter, then paints or stains it. Voila’ they’ve got themselves a pretty lucrative business. Another great option aside from building your own furniture is finding awesome deals on Craigslist or Facebook Yard Sales and refurbishing it. A $10 table and lots of elbow grease can help you create a one of a kind piece that can demand much more money. If I made a bunch of creations I’d probably list the furniture online and also take it to the flea market to sell. As I was searching for more small business ideas that I thought would be interesting, I ran into a few that were kind of unique and a couple that even freaked me out. So, I thought I’d share those with you as well. Then there are also those ideas like babysitting or elder care that could be great small businesses but that I’d be no good at. 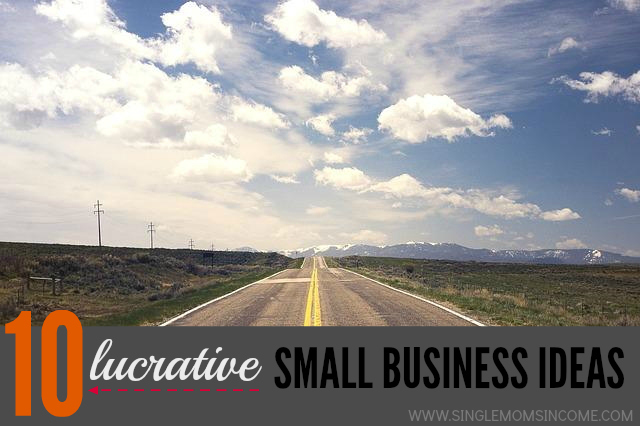 Are you ready to start your own small business? Be creative. Think outside the box. Commit. 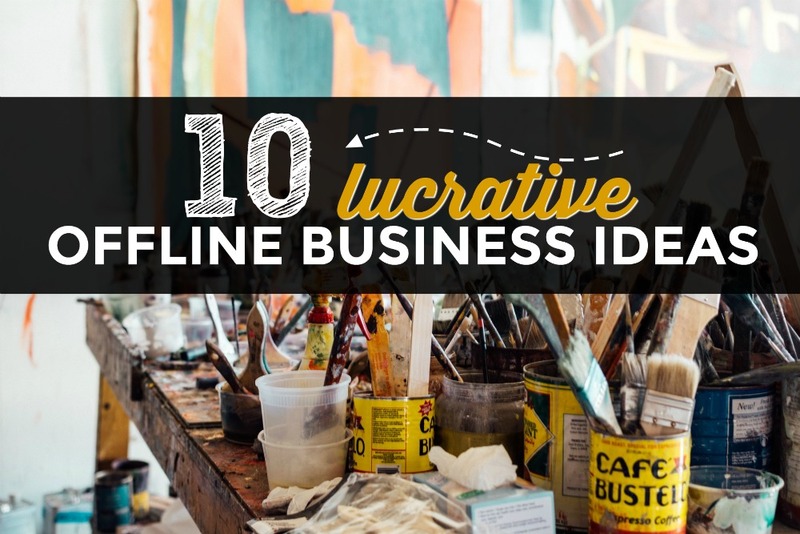 What is an offline business that you want to start the most? I wanna know! Wow, what a great list! I love the “firearms flipper” as I would have never thought of that. My friend’s parents own a vending machine business. While it sounds like a good idea, it took them FOREVER to get the machines placed and it does seem like a hassle to have to keep restocking. But, it also does seem like they have been able to get a consistent income from it so good for them. For now I will just stick to my online blog business, but I really want to ramp up my spreadsheet consulting. I have so much to learn, though! I think spreadsheet consulting would be a good business idea. I am sure the need will only get bigger. I guess there are always two sides to every store. I am sure finding a place to put the vending machines would definitely be the biggest challenge! Vending machine business guess could have its up and down. Seeing how people treat these machines and when I used to work having to call the company to have them repair made me wonder how they made their money. Also, refunding peoples money too and how much that added up each week for the vendor was pretty high too! I sure didn’t know about “firearm flipping” learned something new! Thank you for this post. That’s true. Vending machines are suddenly looking a little less attractive to me. Cool ideas. I’ve thought of the vending machine idea…it seems ultra passive. I think the laundry room in my apartment could use one! I’d be interested in owning rental property too but real estate is too expensive here and I don’t know if I want to deal with tenants. My wife and I considered opening a daycare as my wife is a certified early elementary teacher and has worked with little ones. However, we’d need to have a location. Commercial leases here can be expensive…if we had a house we could do a family day care. I think daycare could be a great business unfortunately I don’t have the patience for it 🙂 I can imagine how expensive real estate is in New York, I am lucky in the sense I live (and love) in a small rural town where real estate is dirt cheap. Great list of ideas. We’ve considered the car wash one before. A similar one is laundromats. My “retired” neighbor has one and rakes in the money. They work well in areas like where we live that are on the lower income end of the bell curve. Lots of people rent and don’t have washers and dryers. I’ve said for a while how great the commercial cleaning business is. As a business owner, we’ve struggled with someone reliable to do office cleaning over the years. Once you get a job and do it well, you’ll get tons of referrals. I had a friend who did this in college. It started with the local newspaper office and she got so busy, she had to hire employees. I don’t really have the desire to do it now, but if I was in college or just starting out, I would certainly look into that, especially if everyone knows you and you have a good reputation. I think the cleaning business could be great. I wouldn’t want to always do the work myself though. But I do think I know a few people who I could get started doing it with and hopefully earn referrals from there. The only difficult part of that would be hiring a good staff. I love the firearm flipping idea. That seems like a model that could work with very little cash upfront and, with the proper knowledge, minimal risk of loss presuming the firearm was bought at the right price upfront. Do you think you could work a geographic arbitrage angle on that (i.e. – buy where they are inexpensive due to a struggling economy or glut of supply, and sell in a locale that has higher demand/prices)? Definitely! I’ve grown up around this type of business model my whole life because it’s pretty much been the family business. (Only they don’t go seek out the low cost guns people come to them.) Anytime somebody is hard up for cash they’ll sell a gun to the store rather than do a private sale that could net them way more money. Then you have the serious collectors/hunters who come in and pay big bucks for those same guns. I recently just heard about the lice/nitpicker business as well. Never even knew it existed! Apparently, to go in and have your head professionally picked by someone costs about $150. Although it’s a field that most people wouldn’t want to work in ( I couldn’t do it), the reality is lice happens. So for those who aren’t able to get rid of it on their own, I can see where this is a needed service. I guess it just goes to show that you can turn just about anything into a business if there’s a need/demand. Oh yeah I am sure there is a huge field for the lice/nit picker business. I had no idea they charged that much but I think if I was in the position and couldn’t get rid of it fast I would definitely go get professionally treated. Lice used to pass around my school like wildfire. Here in Houston, I worked for a top lice removal company and she charged $100/hr. I saw many parents drop hundreds of dollars on their kids heads like it was nothing. 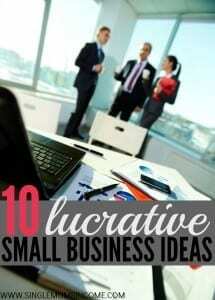 These are awesome business ideas. Vending machines always seemed like a true passive income machine. The fact that houses are so cheap where you live makes flipping a house a lot more reAsonable. Even if you couldn’t sell or rent out a $30k house, it’s not going to bankrupt you. Sounds lucrative. I have family that is involved in some of these industries, and most of them do fairly well. I would love to have a rental property or two here at some point in the next few years. The more passive income I can setup, the better off I will be. It’s true that there are so much opportunities online business could offer but I, too, have keep coming back to the possibilities of offline business. I don’t know but I find my self too old for the online thing that I thought some are way above my head. I will give thrift shop some serious thought because the idea appeals to me. I enjoyed this post so much. Makes one want to reassess things especially if they are not going your way despite the online boom. Actually my 11 years old daughter was so annoyed she was too young to get a job that she is going to start her own side-business (with some help from mom). I’m hoping it takes off, she becomes a mogel and she can hire me as her assistant. I will blog about the ups and downs of my mini-CEO as things happen, on top of working full-time and trying to get my own writing side business off the ground. It’s all about organization…at least that’s what Alexa says. I always half joke that if I had the money I’d buy land for the purpose of putting a parkade on it haha. My friend has a very successful small business by buying and selling clothes from infants to adults. She got a very reasonable price from a direct supplier and sells them. These are some excellent ideas. Sometimes I imagine that offline businesses might be a hassle pulling off but I guess with some creativity and outsourcing some functions its possible. Growing up my neighbor’s dad across the street was a vending machine owner, and we all called him a candy man. Her parents seemed to do pretty well so I think he had a lucrative business. He didn’t just do machines that dispensed big products, he also did the small machines that gave you a handful of m&ms or pistachios in shells, which being no-electricity machines probably allowed him to place them at little to no cost in restaurants and other places around town. Hi Alexa. These are great ideas. 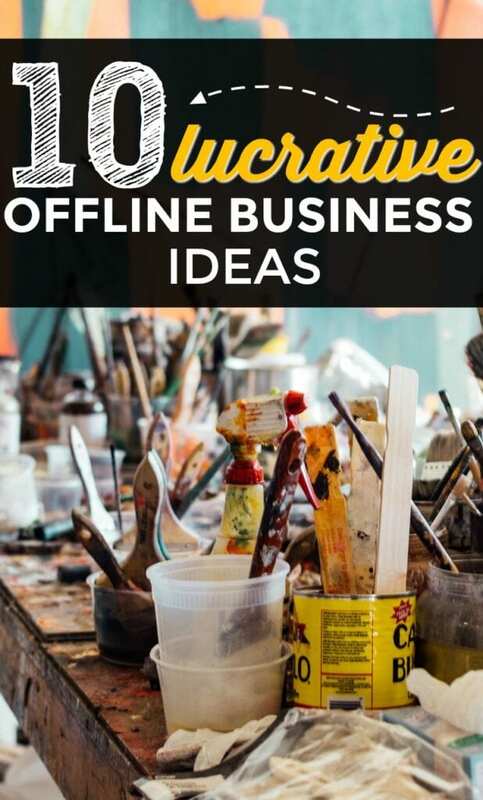 I’m glad to know that even with the popularity of online businesses, there are still smart business ideas that we can try offline. Indeed, ideas can be obtained from anywhere. We just have to be resourceful. This list is a little off. With the craziness with bank lending right now, flipping houses is NOT a good idea. you could end up stuck with the property. Hi Alexa! What a great blog – so glad I found you! I feel very similar in that for the past few years I’ve been building an online business (freelance writing, affiliate marketing, blogging) and at times I feel like I need something else. I also feel like I’m constantly chasing the next thing. My husband and I have been brainstorming ideas for a looooong time. Our issue is that we want to find a business that we can be passionate about but that gives us good income potential and where we don’t have to constantly hustle to find new customers. So we’ve come up with a service business that seems to make complete sense where we live in Phoenix AZ. We are starting a pool cleaning business. In our area the majority of homes have swimming pools and our competition charges on average $100 – $125 a month for service. So with just 100 clients we can gross about $12,000 a month and outsource most of the work eventually. Also, around here pool companies don’t have the best reputations of reliability overall, so we figure that we show up, do a great job and make things easy for our clients and we’ll be leaps and bounds above our competition. Yes its not glamorous or something I can be truly passionate about (yay time to clean pools!) but it gets us to our goals of recurring income, time on our own terms and super growth potential. Then when we have enough cash saved up, we want to have a serious go at flipping houses! So many good ideas! I live in San Diego, and anything to do with water (including pools) is a risky undertaking. Pools are being filled in. My wife is an upholsterer and seamstress but we’re rather hesitant to drop her decent income to take a shot at it. My neighbor used to reupholster seats in cars and she had a steady stream of business. Hey Crystal, It can be tough in the beginning. 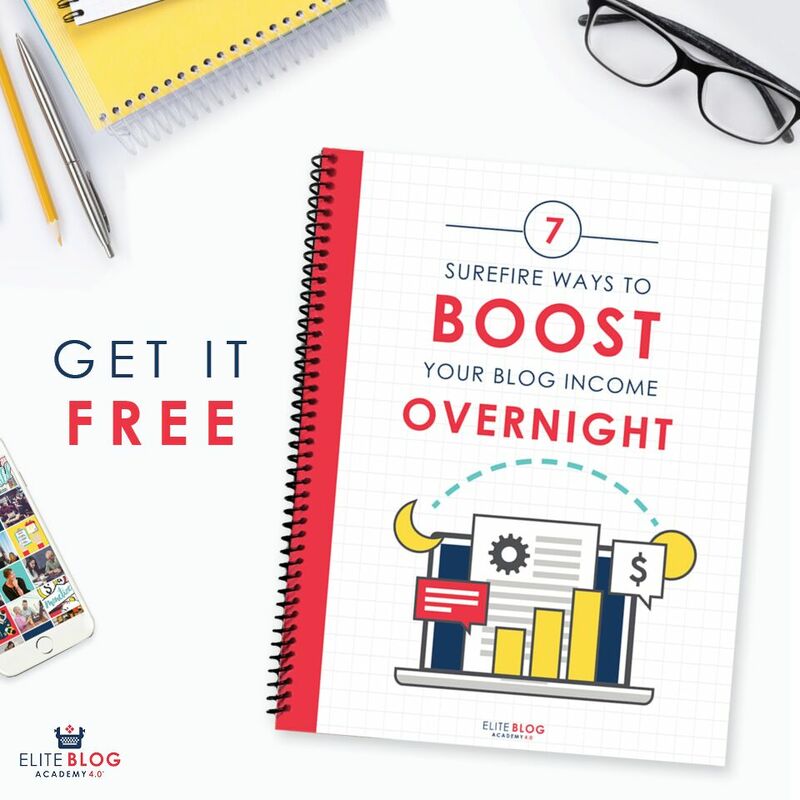 Have you read this post https://singlemomsincome.com/how-to-find-freelance-blogging-jobs-if-youre-starting-from-scratch/ ? It has the step-by-step strategy that I used. After reading the ideas, and rethinking old ideas, one came across as a possible winner. This is a variation on the Vending machine business. Years ago the rage was the video game machines. These machines could be bought for as little as $100.00 and if put in a bar or club, could make as much as a thousand a week! These machines are still available. Arcade machines will make a comeback because of what they are. A relaxing and sometimes taxing way to get the reflexes going. well thanks to the publisher of this page, am very glad to say that out of yo business ideas, i got self employed as i started up a #CARWASH of my own, am in uganda . Thank you so much because i now earn a living though am still at cumpus, i employed some home boys who work there, the place i rented it but i make sure that am there to supervise and keep customer contact and relationship. Wow! What a great blog! Look at all the wonderful comments. I researched a company that was selling a franchise in Dog poop scooping.. It was hard to read their literature with a straight face. One person’s garbage is another’s treasure. I would add to your list cat box cleaner and horse stall cleaner, plus I will add one more that we have been thinking of hiring…laundry person…I am going to outsources that and our local cleaning services do not like to do laundry I hear. It will give me more time to write 🙂 Love your blog! I never tried any of these except freelancing but these ideas seem pretty cool. Car washing is a great idea. We should never depend upon single income. Awesome ideas. Thanks for sharing. A car wash is such a great idea! We have a few in the Austin area and they are always packed to the brim with a line full of cars waiting. I don’t even get car washes, so I don’t really understand why these places are getting so much service all the time, but it’s a great way to make money.